That would be the ELECTED 111th DEMOCRAT CONGRESS! Because the majority of Americas citizens have not wanted ObamaCare from the beginning. Not one single Republican voted for ObamaCare. This was tyranny on the behalf of by and for Barack Obama and his regime, in short it was a bloodless coup. One of the architects of Obamacare said the law was written in a deliberately “tortured” way and relied on the “stupidity of the American voter” to ensure its passage. 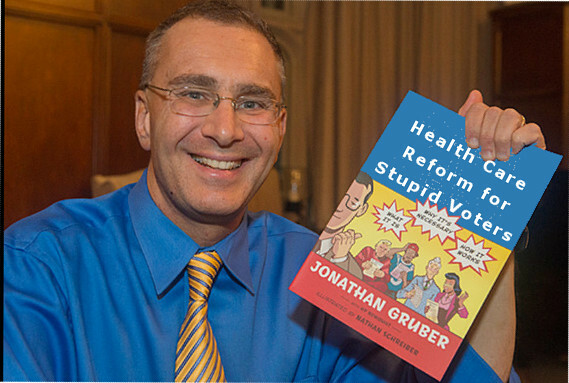 In a newly unearthed 2013 clip, Jonathan Gruber, the MIT health economist who helped craft parts of the Affordable Care Act, got fairly candid about the tactics used to get the Affordable Care Act passed during a panel at the Annual Health Economists’ Conference last year. Gruber then trumpeted the value of a “lack of transparency” — and called American voters stupid. Better for the American people to be saddled with a law they don’t understand, Gruber claimed, than for them to understand the law and rally against it. UPDATE: The original video that contained Gruber’s comments was deleted from YouTube on Monday morning.